ONCE MORE WITH FEELING: I'm back on stage in NYC! Happy Fall! The season and weather is glorious and I hope you are enjoying it, wherever you are! I have been absent - but here's WHY! 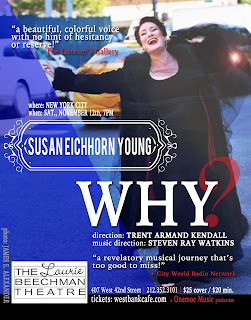 I am currently in rehearsal for a one-woman cabaret-esque show in NYC. It's been a long road to get here - but I AM HERE! 5 years post car accident, and it's time to stretch back onto the stage. Would love to see you there - and if not in NYC, maybe somewhere near you SOON! Let's ask some big questions, and celebrate LIFE! 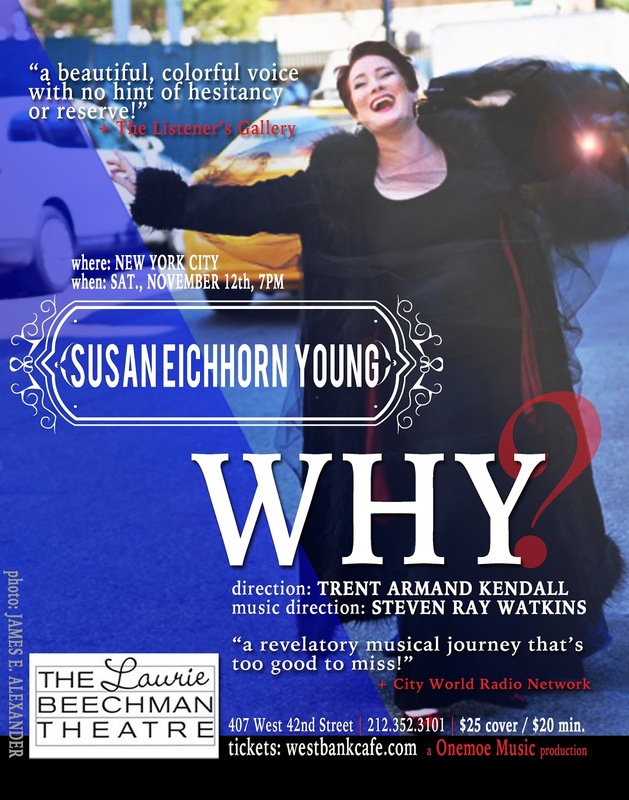 Saturday November 12th 7 p.m. in New York City, Laurie Beechman Theatre!